Details: The project is coming up at Jagatpura, Jaipur. 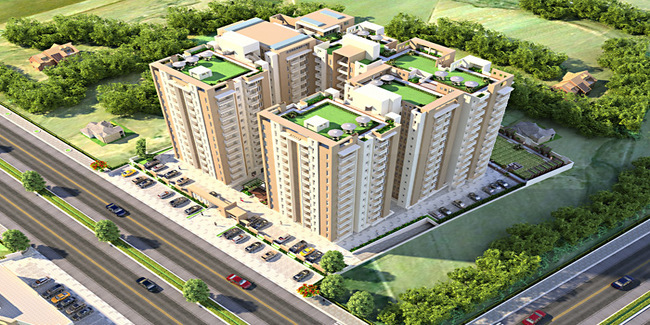 The project offers 348 units of G+12 floors, having 1 RK, 1 BHK, 2 BHK and 3 BHK apartments. Apart from the basic amenities, the project offers rain water harvesting system, fire fighting system, multipurpose hall, party lawn, vastu compliant, swimming pool, jogging track, etc.